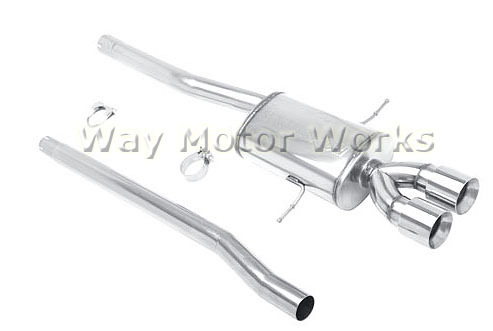 Magnaflow Exhaust for 2007-2013 R56 R57 MINI Cooper S. This is a 2.5 inch exhaust replaces the rear muffler section on your MINI. Comes with dual 3.5 inch polished tips. Sold as seen in picture with muffler and connecting pipe.